Thinking back to grade school, you may have fond or not-so-fond memories of getting your report card. If you were a straight “A” student, this was likely a moment of pride. But if you struggled through your schoolwork, you may have been the one to hide your report cards from your parents, or even lit your reports on fire – (My first attempt at hiding my report card ended in burning down my mother’s taxes and her companies taxes, which taught me to just bury the reports underground in the future). SEO Reports can’t really be burned nor should they be buried….sorry. But, just like report cards, these reports are ways to track and highlight wins and losses or successes and failures. If you demonstrate a killer track record, reports become less important, but one of the primary ways to build trust is to build a good reporting system to track your efforts and your clients SEO business health. Creating an SEO report is an essential part of staying accountable. It outlines the work performed, and proves that you’ve given your clients a positive ROI. What are the benefits to mastering your reporting? What do clients want from to see in an SEO Report? When selling SEO to businesses that compete locally or nationally, your clients buy from you for one reason above all others: to get leads. And while generating leads is the ultimate goal with SEO, most SEO pros experience high client turnover and low retention rates. The truth of the matter is, digital marketing customers are shopping around and looking at 2-3 other agencies, especially when your contract is about to end. So how can you remind your clients of the value you provide and keep them from canceling? If you’ve been in SEO for long enough, you’ll know that the average client has been burned a couple of times with SEO, which means that an opportunity for differentiation exists as long as you can prove your value. Heck, often times, you don’t even need a stellar ROI, the customer just wants to know what you’re doing. That’s where SEO reports come in. A detailed SEO report can be the difference between putting your professional, data-driven foot forward or having to convince clients that you know what you are doing. You’re the pro – it’s time to build SEO reports that showcase your best work. Year to Date Google Analytics Metrics that cover traffic sources, sessions, page views, bounce rates, and anything else you may want to add. Month over Month Google Analytics metrics to highlight recent campaign improvements. Search Console Analytics for both date ranges to reveal deeper insights into the valuable click data for the site. Conversion data to track the most important metric of all. Are your marketing goals being met? With this one, you’ll need to understand Google Analytics to fully track everything within Raven. We actually have a Google Analytics Event Tracking and URL Builder Tool that’s pretty dang handy. Stop the endless cycle of arguments and low LTV for clients. Unless you knock it out of the park with a client or establish a really healthy relationship with the client, you’ll need to give yourself some extra retention firepower. Before we dig into the benefits, templates, best practices, and lists of reporting tools, let’s cover the basics. SEO reports are primarily for your clients. They give an overview of how a website is performing in search engines and what work your agency has done to help them reach their SEO goals. Clients like to see that their marketing investment is being put to good use. With a detailed report, they see how much traffic their website is bringing in, which sources are generating the most traffic, and how many leads they are getting through their site. This can then be tied to the work your agency has performed or their own advertising spend. SEO reports highlight what is working and what may not be working. This will inform your SEO strategy and where you should allocate your time. After all, what’s the point of any type of marketing without an ROI? Providing ongoing website analytics will help remind your clients of the value you provide and increase trust. An SEO report can track how many leads or sales are coming in as a result of SEO – and may help you justify upping their SEO efforts. Another perk of reporting is that you can usually score a retainer type deal if you’ve done a good job making their SEO strategy understandable and if you’ve made clear consistent connections between your efforts and campaign success. It’s important that your SEO reports are detailed and easy to understand so that your client can be confident that your SEO efforts are working and that your agency is worth the investment. I can’t emphasize this enough. With Raven Tools, you can build custom SEO reports for your clients that keep them knowledgeable about the campaign successes without inundating them with information that goes over their heads. Ultimately, they just want to see more leads and more conversions. There are a lot of metrics you may want to show your clients including page visits, unique visitors, position changes, and more. But just because there are a lot of metrics you can report on, does not mean you should add them all into your reports. Some reports will even include social shares and comments to help gauge future content. Usually, the smaller and more focused the report, the better. Keep recommendations short and to the point, show measurable results and make a clear outline for what the client should expect going into the next month. At the end of the day, what you include in your SEO reports is up to you. This will be contingent on your business model and the clients you serve. Including keyword rankings, traffic comparisons, and sales/leads is a great place to start. It’s not only important to know what to include in your reports. You’ll need to understand how to set yourself up to deliver a report that your client will love. Remember, the purpose of reporting is to demonstrate your value. This is how you retain your clients or even upsell them on other services you offer or extended packages with “next steps”. This step happens before the reporting even begins. The more clear you are in setting primary goals, objectives, and how you plan to achieve them with your clients, the more clearly you get to demonstrate how you’ve moved towards those objectives in the report itself. Remember that the key word here is “clarity”; meaning, you want to clearly reiterate the goals and objectives originally agreed upon in the report and then follow up with the steps you took to meet them. People often have a tendency to see the worst side of things, and if your client isn’t experienced in SEO they won’t know what to look for in the data or how to read it. Add a summary to your SEO reports to help them make sense of the data. You already know that SEO isn’t a guaranteed practice and results don’t normally come in strong until about 6 months in. This is why it’s important to develop a habit of presenting observations to your client that support the opportunities you’ve found in the data. Remember to look at every “bad” piece of data as an opportunity to improve and focus on presenting that opportunity in your report observations. If one thing you’re doing isn’t moving the needle, be honest. But quickly move on to what insights you’re able to gain from the data to try again or pivot. This could be a continuing the same service because what you’re doing is working and there’s no need to fix a process that’s not broken, or it could dive deeper into how to turn insights on a misstep into an opportunity for everyone involved. Now that you understand why SEO reporting is important and how to go about it, let’s dive into what tools you can use to help you get the job done. You can include an analysis of any SEO successes or setbacks, a list of any work performed, and recommendations on what to do next. Fully customize your SEO report to fit your client’s style and needs. In the steps below, we outline how to build out a comprehensive SEO report for your clients that are just as professional and data-focused as you are. Making an SEO report can be done in a matter of minutes by using the Raven Tools WYSIWYG Reports builder. Here’s an SEO Report generated by Raven Tools. It combines keyword ranks, Search Console, Google Analytics, Site Auditor, and conversion data. I recommend doing a month over month progress report and a year to date progress report. You want to show recent efforts and total efforts. Create custom reports by following the directions below through your Raven Tools account. Log into your Raven Tools dashboard at raventools.com. If you want to conduct an SEO report for your own website or a client’s website, select the domain from your list of campaigns. Or, for a new site, select “Add New Campaign”. Click the “WYSIWYG Reports” tab on the left side menu. The WYSIWYG reporting engine builds, automates and stores custom reports for you. The dashboard will show you a list of any previous reports and give you the option of creating a new SEO report. Click “New Report” to start creating a new SEO report. Next, you will choose which metrics you want to be included in the report and will customize the report for your client. You can also import your own data, add attachments, and add summaries to the report. Be sure to include any data that you are measuring for your client. It will then dynamically update based on the sheet – so if the sheet is updated, the report data is updated! For example, if you are managing their Google Ads, SEO, and social media, you will want to add metrics for Google Ads, Facebook, Twitter, other social media accounts, and Google Analytics. That way, you can highlight progress across all fronts. These metrics will show up as widgets on the SEO report (see image above). This creates a clear, easy-to-understand report that shows progress, any SEO issues, and a description of each widget. Once you have decided which metrics you want to add, make sure that your report is connected with your client’s accounts. 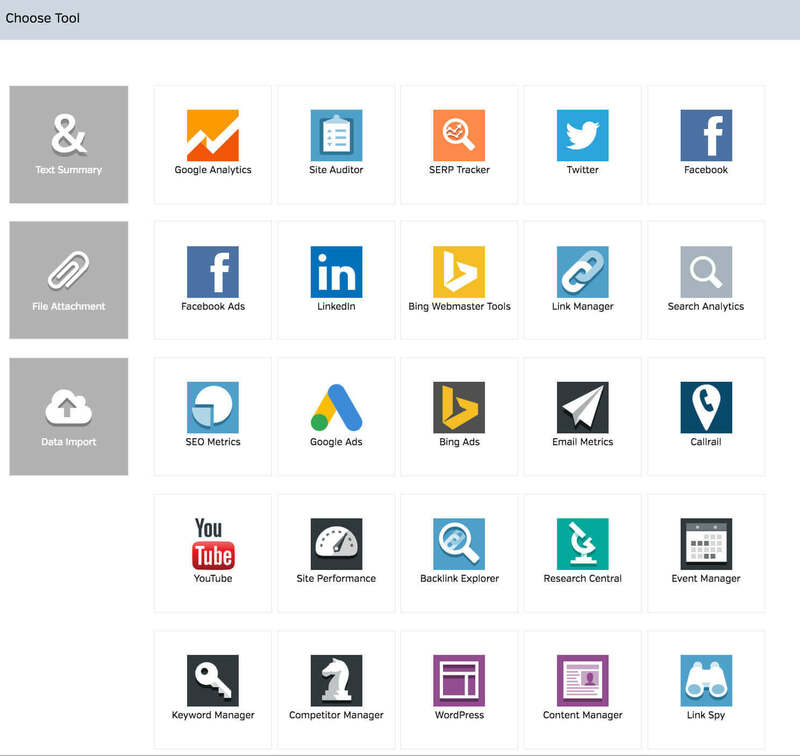 These can include social media profiles, Google Analytics, Bing, and any ad accounts. Once connected, Raven Tools will pull in the data from these platforms for your chose timeframe. You can then add a short summary for each and add it as a widget on the report. Raven Tools allows you to completely white label SEO reports for your clients so that your reports appear to be coming from your agency and not a third party site. This adds a professional yet personalized touch. You can add your logo or your client’s logo. 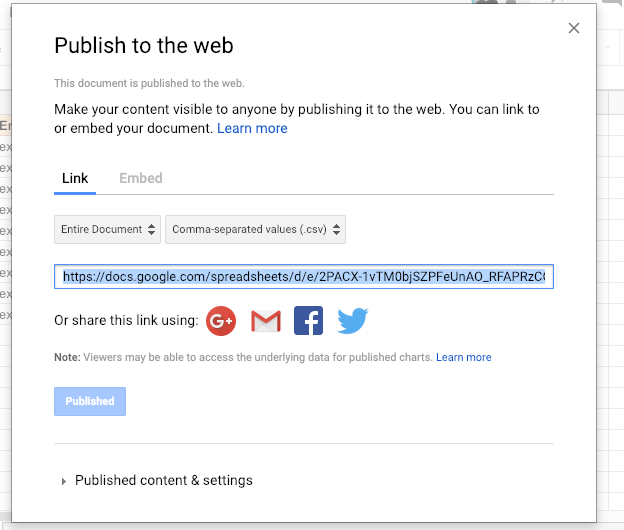 Then, you can add your own summary of the data points, a description of work performed, and an outline for future SEO efforts. Clients appreciate when you take the time to explain confusing metrics and relate them back to their business goals. Has their site seen an increase in organic traffic and leads as a result of your work? Make that be known. The nicest part about the report builder is the fact that you can just turn any customized report into a template that you can then use across every client. If you’ve built as many reports as I have, you’d immediately know the hours of time you’ve saved from the swamp of tediousness. Not only can you use a template, but you can just schedule these reports and send them from a customized email and brand the reports or white label a domain to make yourself even fancier (white label domain starts at the Grow package in Raven). 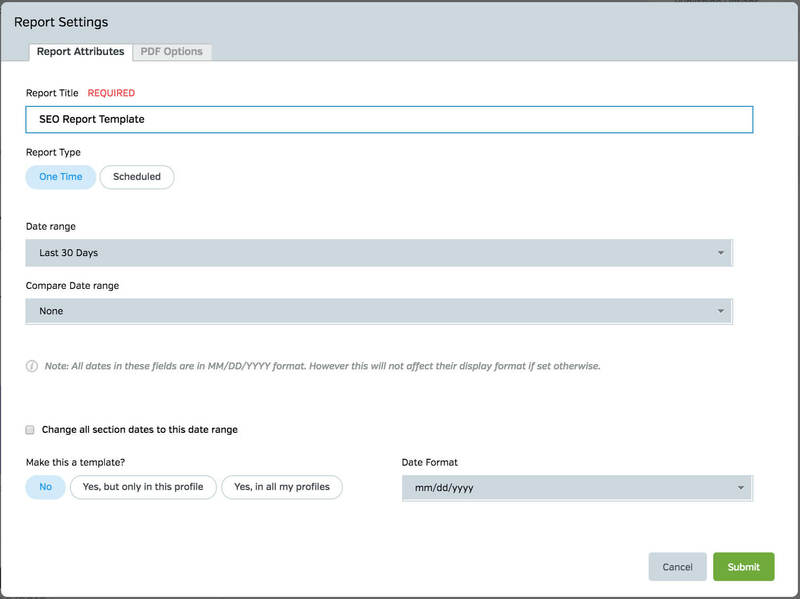 By adjusting these settings, you can create a template for each client and generate new reports for them automatically on a regular basis. This will save you loads of time on reporting if you are building SEO reports every few weeks or every month. Plus, with the option to add a cover page to the report, you can further customize your report PDFs to make them even more unique. You will see a message that your report has been updated and that you can “View Report” via a link. If you view the finished report, you can export the report as a PDF by clicking “Export PDF”. To email the report to a team member or client, go to your WYSIWYG Reports dashboard, choose report, and select “Email Report”. Enter the recipient’s email address and click Send. Then you’re good to go! SEO analysts can generate ranking and traffic reports with a plethora of different tools. Some of the most common tools used by SEO’s include SEMRush, Ahrefs, Moz, and of course, Raven Tools. When deciding what tools are best for your business, you need to compare the benefits of each. With SEMRush you can create PDF reports on the fly for your clients or schedule daily, weekly or even monthly reports. Unfortunately, with their $99 per month plan, you are limited to 5 automated reports while creating manual reports is unlimited. For the data you get in SEMRush surrounding keywords, their automated reporting is a great way to show your clients ranking increases and progress. However, most SEOs have more than 5 clients and having to create manual reports is a pain. In order to get more than 5 automated reports each month, you’ll have to upgrade to their $199 plan to increase your total limit to 20 reports. Report Garden is basically just a report and proposal tool, but it does a great job at visualizing your data at a decent price. The lowest package starts at about $149 but it offers a lot more campaigns than SEMRush, but lacks much of the functionality of SEMrush or Raven Tools. The real value of Report Garden doesn’t kick in until you spend $299, but at this price point, it gives you access to a range of call tracking, email marketing, PPC, Google integrations, and access to invoices and proposals, which is a nice feature. While each of our competitors is strong at a specific thing, SEOs often find themselves missing the things each tool doesn’t have. Some of your clients will benefit from SEMrush’s capabilities, while others will need what Ahrefs or MOZ has to offer. That’s where Raven Tools comes into play with an all-in-one solution for SEO reporting. With Raven, you get Majestic backlink analysis, Authority Labs keyword tracking, Moz and Majestic domain metrics, along with Raven’s award-winning site auditor. You also have access to all of the 30+ data connections, which can be brought into one dashboard and made into any style of report. At $139 you get unlimited white labeled reports with 80 domains. With Raven Tools’ WYSIWYG report builder, you can easily pull data from many channels into one report. Pull organic ranking positions, social media data, CallRail reports and more all into one automated daily, weekly or monthly SEO report. 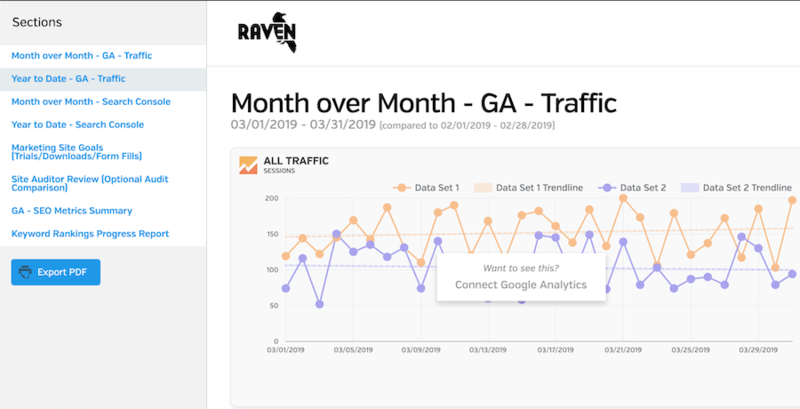 One of the greatest benefits of Raven Tools is that it connects directly to your clients Google Analytics account. This means that you can pull complete SEO metrics directly from Google Analytics and into your reports. If your client is also running ads on Google, Bing or Facebook, you can combine those metrics into the same report. Raven Tools pricing is designed to grow with your business. Then, as you grow, other options become available that cover more clients. 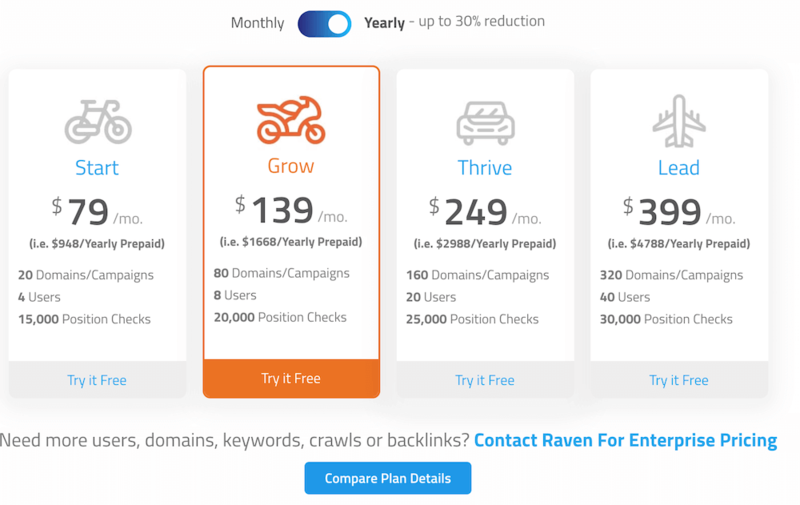 The Start Package includes 20 campaigns at $79, but the majority of users prefer grow at $139 as it offers 80 domains and a host of other benefits at a fraction of typical market cost. The great thing is that unlike the previously mentioned tools, with Raven Tools you can have up to 20 of your clients SEO reports completely automated for less than $80 a month. And since we’re an all-in-one tool, you won’t be missing features and access to client data. Your agency brings amazing results for your SEO clients. Isn’t it time to create SEO reports that highlight your best work? Impress your clients with detailed, customized reports. With Raven Tools, you have access to all-in-one analysis, monitoring and reporting for all of your clients. Choose from a wide range of metrics and features to show clients SEO successes and outline next steps for helping them climb the rankings. Plus, show how your SEO efforts and helping them generate new leads and sales. Get started with Raven Tools to create SEO reports in minutes.